CFC has superior toughness, in spite of its light weight, with excellent thermal and electrical conductivity, and resistance to corrosion and abrasion. We are providing not only CFC but also other carbon or carbon related products such as graphite furnace lining, electrode materials and reaction prevention agents. 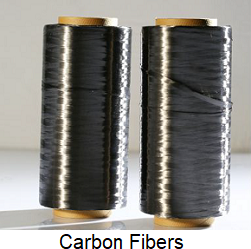 Carbon Fibre Composites (CCM or C/C composites) materials are made from carbon reinforced with high strength carbon fibre.Thanks to improved strength, shock resistance and other properties, they are being used in a variety of fields including hi-tech industries such a Aerospace, Aeronautics and Semi-conductors, Environment and Energy. General applications includes Industrial Vacuum Furnaces and Automobiles. 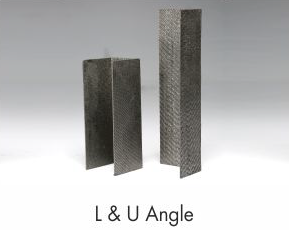 CFC (carbon fiber-reinforced carbon) is a high-performance fiber composite material consisting of a carbon or graphite matrix and carbon fibers. 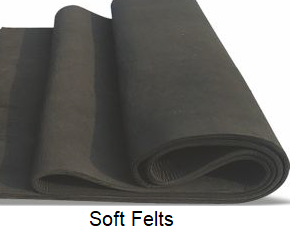 The introducing of the fibers leads to a high-temperature resistant material that can be used under inert gas atmospheres or vacuum at temperatures much higher than 2000° C. Its high specific resistance and rigidity in combination with its excellent chemical and thermal stability make CFC a versatile construction material. Although its heat absorbing capacity is 2.5 times higher than that of metal, CFC provides a significantly better energy balance than all comparable materials because of its extremely low density. This means for high temperature applications: reduced heating and cooling times as well as less energy demand. Racks and work pieces made of CFC are 8-10 times lighter than classical steel racks. Consequently, they facilitate processes and working cycles and even contribute to the prevention of accidents. 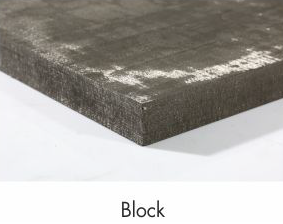 Due to its molecular structure, which has almost no tendency to move even at the highest temperatures, CFC is extremely distortion-resistant and maintains its shape unchanged even after thousands of uses. 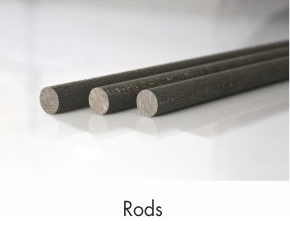 It reaches its highest stability at temperatures of about 1800° C. Its expansion on 1 meter tends to zero at 1000° C. A comparable metal rack expands by about 1.1 cm (approx. 1/2″). 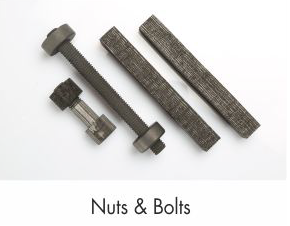 We specialize in the most demanding graphite and CFC applications. We consider ourselves to be creators of ideas, development partners and suppliers for the most diverse companies and industries. Our high-quality solutions are based on graphite production from planning all the way to processing by a single company. They are as versatile and forward-looking as our customers themselves. Thanks to our long-term experience in the design, production and processing of graphites and CFC we are able to advise our customers in a comprehensive and foresighted manner. It all starts with an initial conversation to work out the precise tasks and an analysis of optimization potential. Works, STEP, IGES). Our long-term intensive cooperation with renowned research institutes helps us to find new approaches and optimize existing ones consistently. 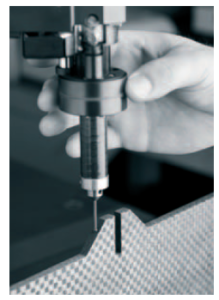 Finished constructions are subjected to standardized evaluation methods with integrated collision tests. This enables us to detect and eliminate potential problems before making prototypes and saves costs and precious time. Moreover, tested constructions can be realized with maximum reliability. 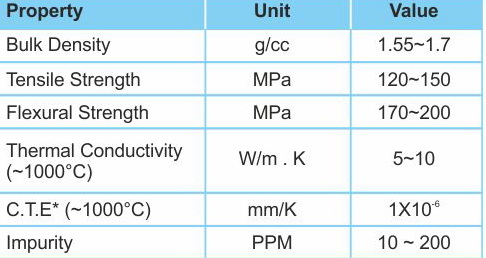 Since we only use quality Japanese grade graphite, we can guarantee constant graphite and CFC qualities to our customers. 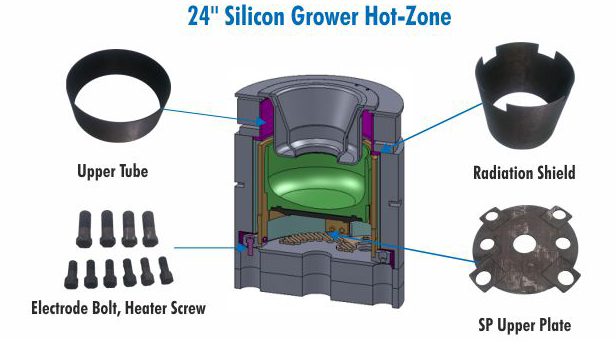 Our leading-edge manufacturing plants provide manifold application options for CNC-controlled processing methods even including our own high-temperature furnace.